One in four adults in the United States has a criminal record. That’s a pretty startling statistic when you think about your latest applicant pool. Chances are high that you are interacting with quite a few applicants, candidates, and even employees with some type of criminal background. For some organizations, this news is startling enough to make them want to post “no criminal record” policies disallowing anyone with a criminal record or conviction to apply. Unfortunately, this approach is far from prudent for all but an extremely select few extremely high-risk roles and work environments. Employers cannot hide from this growing societal trend behind exclusionary policies. The EEOC has made it very clear that criminal record exclusions are not in the best interest of employers or applicants. They also are quite adamant that restricting an applicant based solely on his or her criminal record is often illegal. The EEOC Guidance on Employment Criminal Records and “Ban the Box” legislation, while leveling the playing field for the one in four applicants that would fail a criminal background check, is nonetheless making some employers feel vulnerable. Still, employers must accept and embrace the idea that given proper screening thresholds that match the risk of the role to the background in question and allowing for individual assessments where needed, allowing former offenders to apply for jobs can actually help an organization find qualified employees. Remember that not all criminal backgrounds are equal. A person with an arrest on the books has not necessarily been convicted of a crime, and in many roles, a person with a DUI from 15 years prior would benefit from evaluation through a different lens than someone with a felony conviction in the recent past. Recognizing that not all criminal records are identical, assessing each candidate as an individual rather than a record is not only the law it’s part of a best practices approach to employment screening. When it comes to criminal backgrounds, the issue is not simply whom to restrict from applying, but how best to deal with your applicant pool. While many employers feel unsure where to go with the EEOC guidelines in place, the truth is that you do have both the need and the right to address employee risk in your organization. 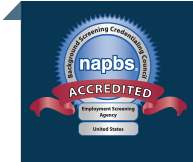 Our years of experience and up-to-date knowledge of your rights as an employer make us a leader in the background screening industry. 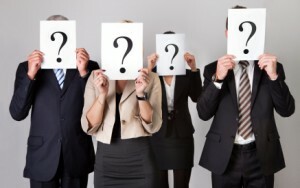 Is your company benefiting from a best practices approach to employment screening? Contact us today so we can help you make better hiring decisions while managing your risks and responsibilities as an employer.